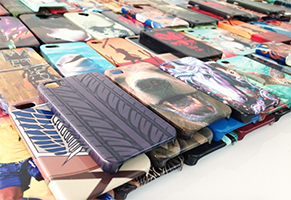 Customize cases using your own photos, designs or text. The hardcases are durable enough to withstand occasional drops and scratches, without adding too much bulk. Create a unique case for your cell phone, it is the ultimate choice for protecting your device in style. This shipped quickly and the phone case is wonderful. Fits the phone well and the colors are great. perfect! it has a bit more of a lip on one side than the other, but its not a big deal. wasnt expecting it to come with a weatherproof bag, so thats nice. thanks!! I received this item a long time ago, but was just now able to leave a review. Very cute design, perfect fit, good price and super fast shipping. I would recommend this seller. It fits really nice , it was stored very carefully in bubble rap and a water proof bag. It shipped on time and looked better then the picture however there was a small scratch on the case, i'm sure it was not the owners fault and more of the long distance it had to ship. If i find another case i like , i would definitely buy again from here. Nice texture and feel to it! This cover is gorgeous and it had a great feel. The image is lovely and I'm so glad it finally got here. Nice piece delivered promptly as promised. I'm giving this a positive feedback because the customer service was exceptional on this product. The product wasn't right when I received it (the coloring was off), so the seller sent me a new one right away to replace it. When that one came and had the same issue, they immediately issued me a refund without any hassle. Although the product wasn't quite what I was looking for, I would trust this seller again because they clearly stand behind their products and want to ensure that their customers are happy. 5 Star customer service! Thank you! Arrived quick. Great packaging. Phone case looks awesome! Very good quality! Very pleased and will be buying from again! Gave as a gift and she loved it ! Good case. Fits my Galaxy S5 very well. Shipping time wasn't too bad considering it came all the way from Thailand and was packaged very well. My only complaint is that I wish the image on the case was a bit more clear, it's kind of blurry and not as vivid as in the picture. All in all, I'm still satisfied.